Trauma and injuries to the mouth can be a disastrous and life-changing event to the individual. At Emerald Dental Care, we offer a range of custom-made sports mouthguard for both children and adults, which are tailored to your needs. Mouthguards are also available commercially and can be purchased “off the shelf” from the supermarkets, pharmacies and sports stores. 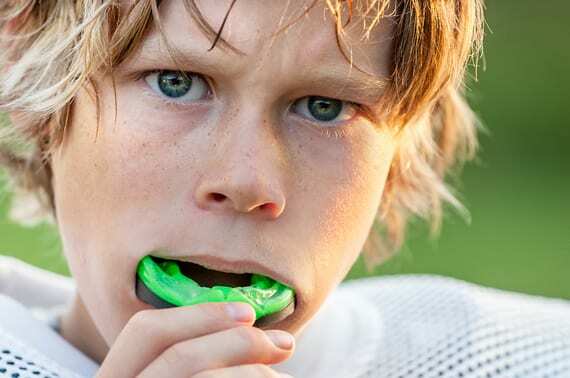 These mouthguards are designed to be a “one size fits all” and are generally uncomfortable and unstable to wear. Conversely, a dentist-fitted sports mouthguard is custom-made to fit around your teeth and gums, making it a perfect fit. A well-fitted sports mouthguard will be more comfortable, offers protection and lessons the risk of teeth fracture and trauma. Protect your teeth and smile today with a custom-made mouthguard at Emerald Dental Care! Contact our office and schedule an appointment for your custom mouthguards today!